Scarce copper butterfly on a leaf. 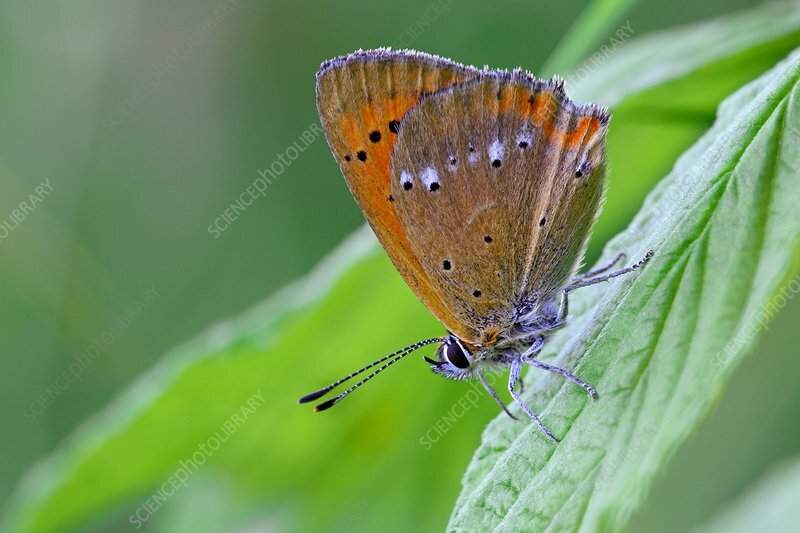 Scarce coppers (Lycaena virgaureae) are found on flower-rich, dry and damp meadows in Central Europe. Photographed in Poland.